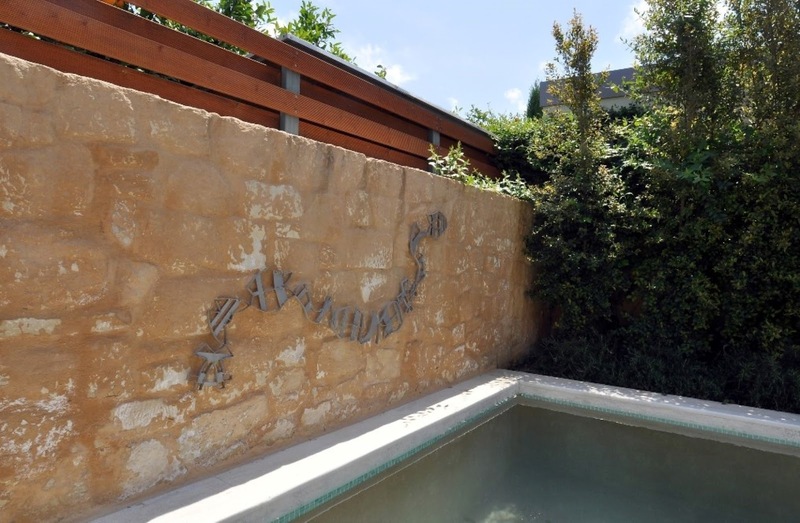 After the success of their exhibition presented last summer at the Centre for Mediterranean Architecture titled “From Abstract Expressionism to Emotional Rationalism”, the artists exhibited to a Cretan audience yet another collaboration of art and sculpture with an intriguing concept. 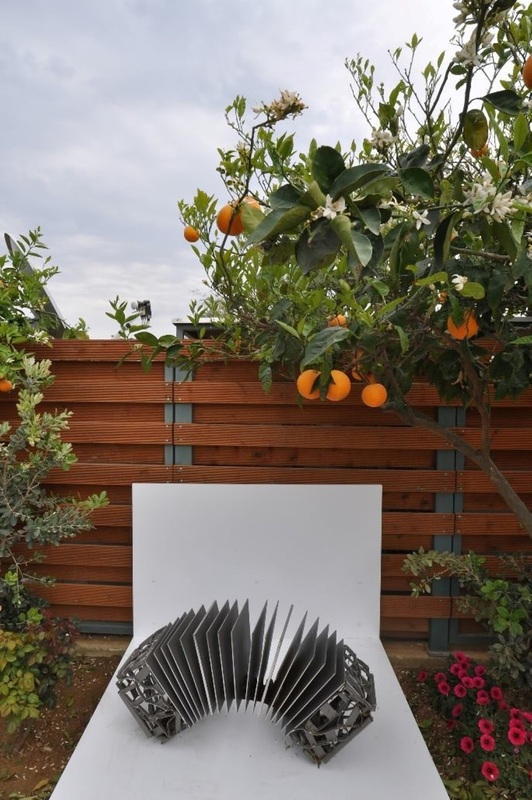 For the needs of their new exhibition titled “Domestic Setup” the artists used the setting of Conte Marino luxurious villas in Kontomari Platanias, as a platform of space of natural energy to showcase their work. The independent complex of villas is the architectural masterpiece of award winning architects - brothers Aristomenis and George Varoudakis. The exhibition compliments and works in harmony with the characteristic and recognizable architectural “thumbprint” style of two of the most important architectural creators in Crete. Conte Marino Villas, built with impressive natural stone features and highlighted with details of stainless steel, works in gentle harmony with the outdoor orange groves on which they are built. 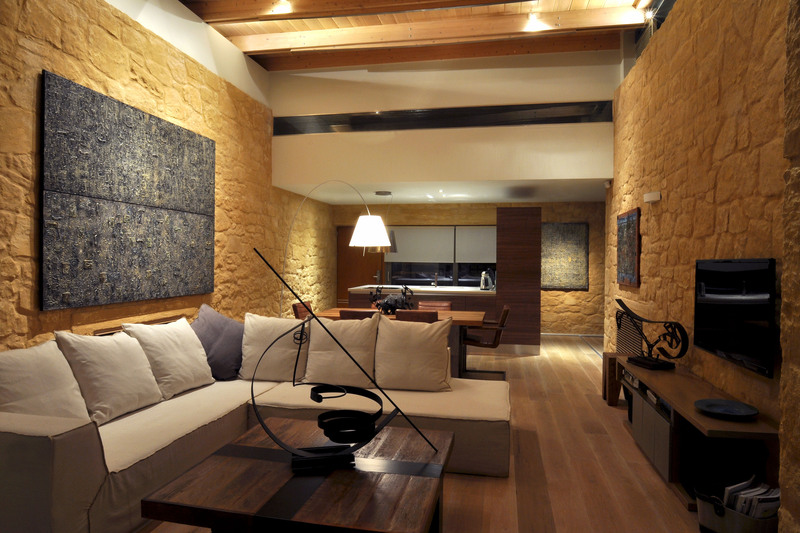 Within this modern living environment the artists strategically place their works of art – paintings of mixed art created by Zolotakis and sculptures of steel by Athanasiadou – adding detail and harmony to the living space. This acclaimed exhibition aims to illustrate that art can become one with its showcasing space, to provide a visually dynamic outcome pleasing to the eye and in tune with the energy of its surroundings. All three villas of the Conte Marino complex are available for rent as holiday houses, providing an exceptionally sophisticated and high quality vacation experience that combines and rejoices in the beauty of Greek nature, architecture, art and hospitality. The exhibition will be held until December 2015 and can be viewed by the public subject to request.